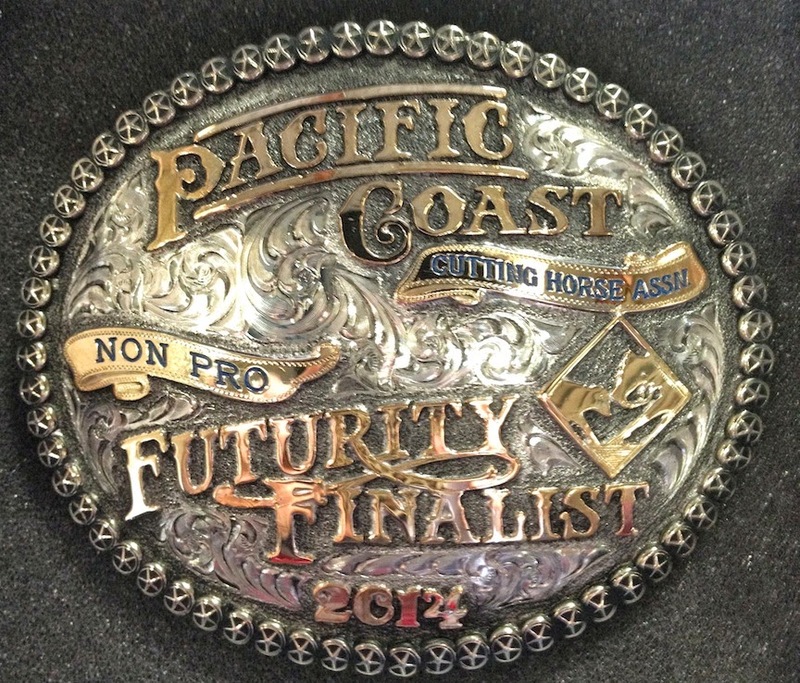 The Pacific Coast Cutting Horse Association has come to a close but let me catch you up on what happened in the last few days of our event... 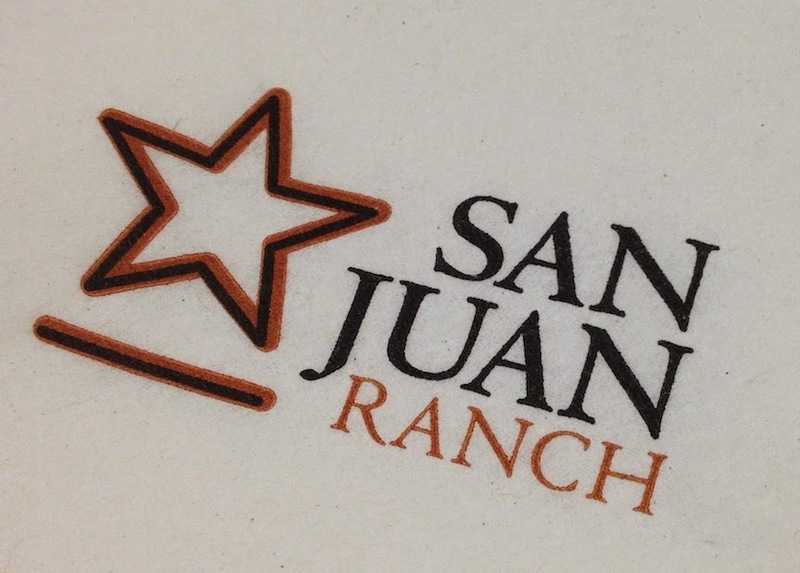 The San Juan Ranch so kindly sponsored a Dinner and Draw Party for the Finalists of the major events left in competition. The view and building was absolutely stunning! 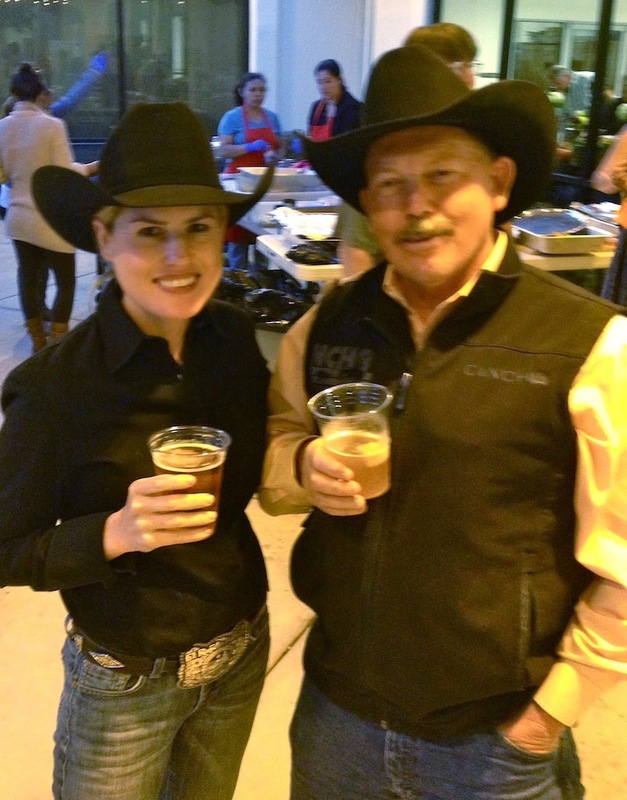 The party was held after I had just finished showing in one of my finals on my horse Scotty. My run was going really great until a naughty cow took me out of the class. I didn't let it faze me and continued to show my horse really well. I know I have a really good horse so I left the arena smiling and blessed to be given the opportunity to show him. 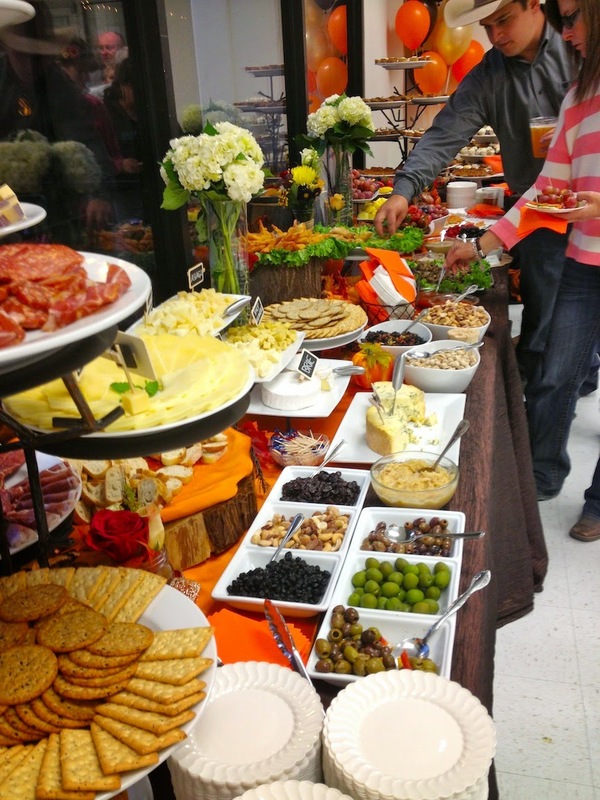 They had so much food at the party! My favorite was this appetizer section of crackers, cheese, salami, olives, nuts and fried shrimp. I love to eat a variety of bite sized snacks! 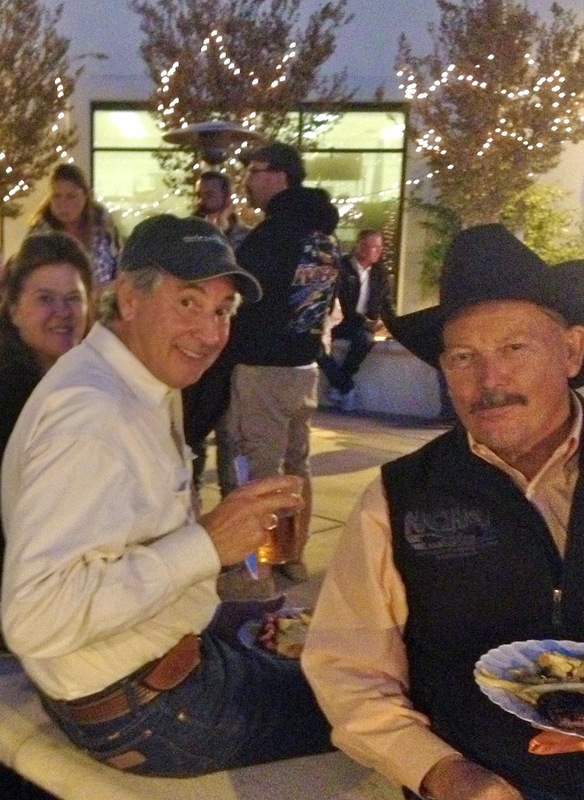 It makes cocktail hour easy for communication with all our horse show friends! 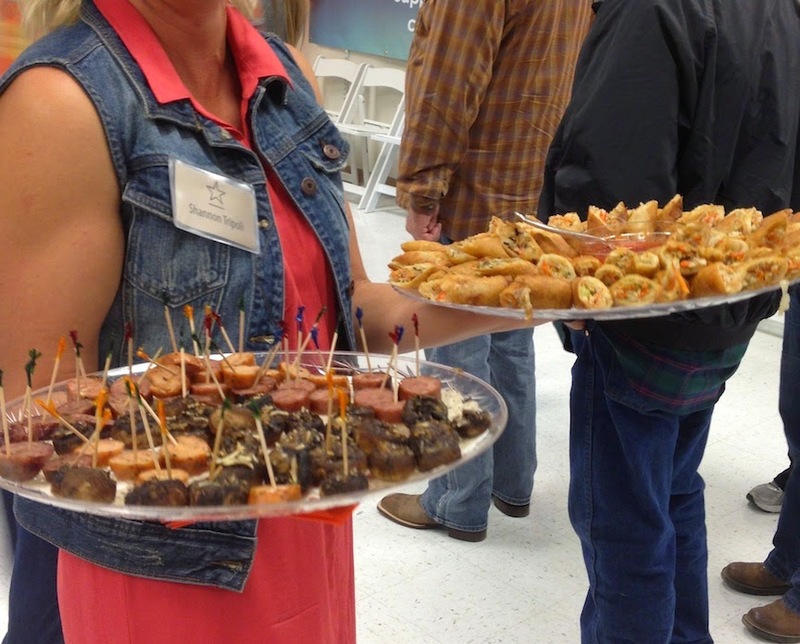 They were even hand passing the little morsels of goodness! We felt like royalty, the San Juan Ranch pulled out all the stops. As if we didn't eat enough already, dinner was served! 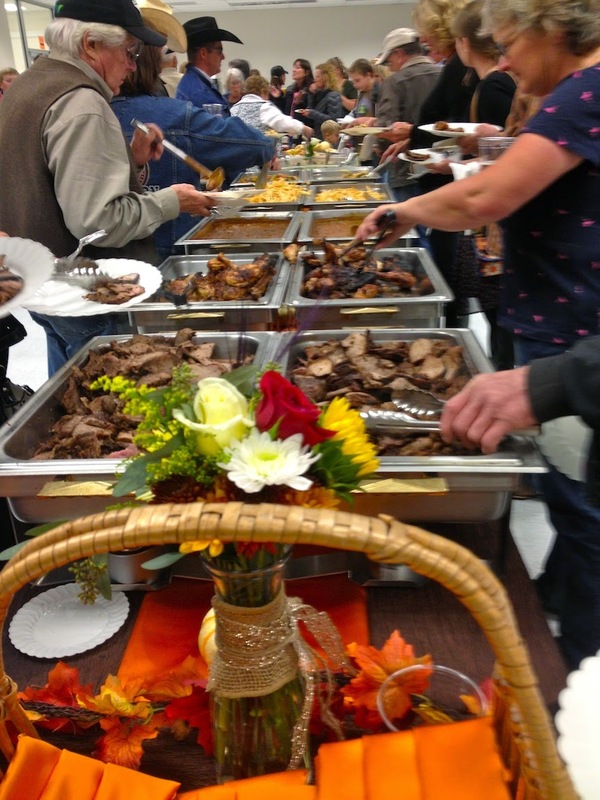 A whole array of tri-tip, chicken, beans, sauteed vegetables, french fries, salads, fruit and rolls were on display. I took a little of each and balanced my full plate outside to grab a seat. My posse of Cowboy Ron, my mom and Scott all decided we would grab a seat next to the fountain. It was beautiful and it gave us room and the super packed house. This was the place to be! My plate was a unorganized mix of all the selection but I happily indulged! 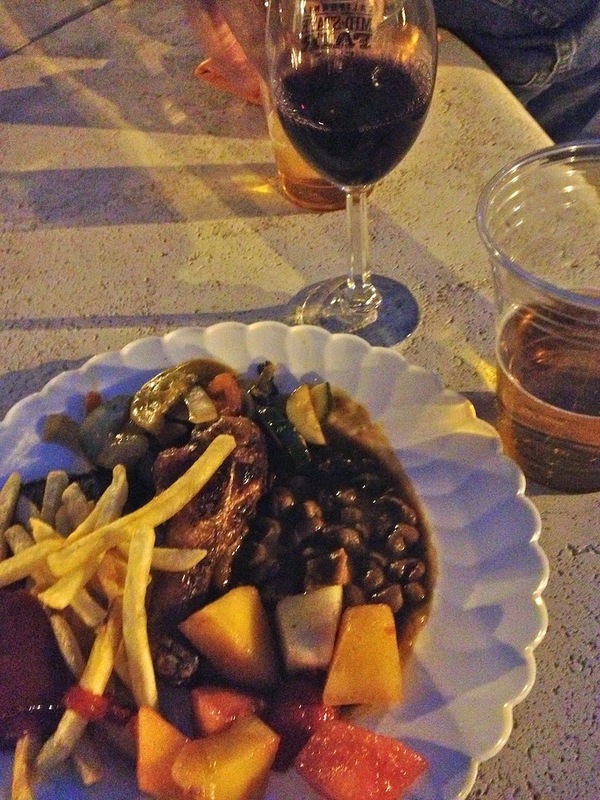 Everything was exceptionally good but my really favorite was the chicken! The skin was really crispy and perfectly seasoned! 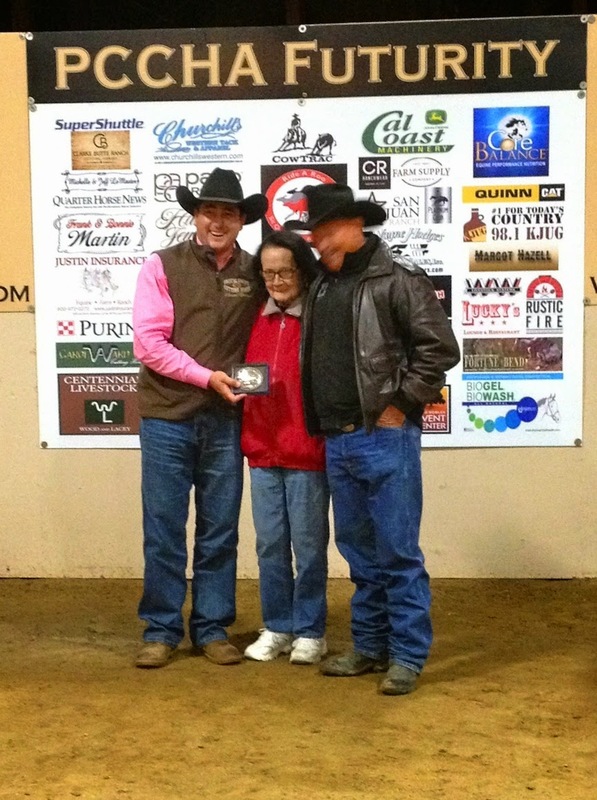 The next night was the night of the OPEN FUTURITY! 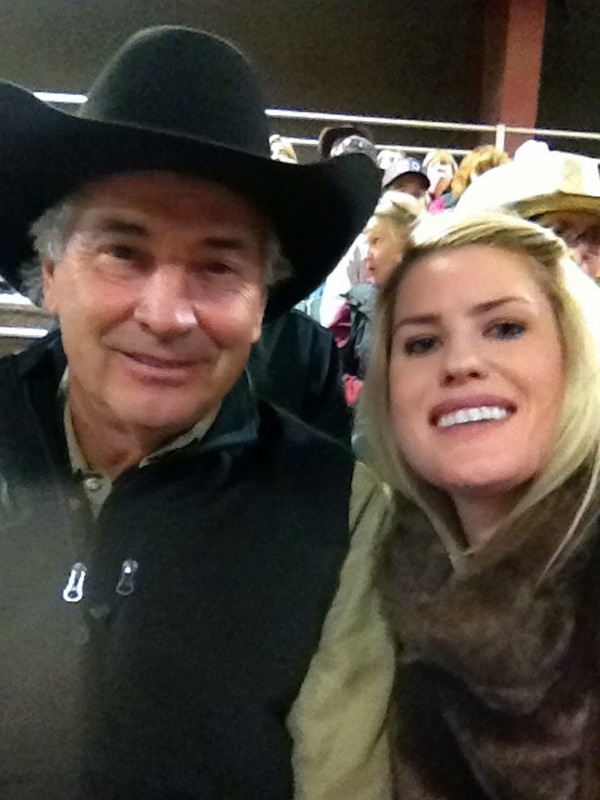 Cowboy Ron and i grabbed our seats and watched Scott show his little horse, CD Skipper, in the field of 19 horses. She is such a cute little horse and she held all of her cows. Good work Skipper! Scott ended up 11th and received a nice paycheck and buckle for his efforts! The next day, it was my turn.... I had to walk down to the herd and show my stuff. I knew I had to compete against a lot of great horses and riders so I was just happy to be there. My performance was not the most desirable but I got the job done, I didn't lose any cows and I showed like I wanted to win. I was rewarded for my efforts and ended up 4th place in the Non Pro Futurity and 2nd the 200,000 Limited Futurity. I had a tremendously successful show. I have never won so much money at an event like this in my life! My horses worked like they were supposed to, my parents great support and assistance from Scott and Russ made it all possible. On my drive home yesterday all I could think of was just how blessed I am. I will never forget this experience. Hello Foodies! My name is Melissa and I was born and raised on the California Central Coast but now call Ojai my home. I travel the globe eating out at fabulous restaurants, little dives and secret gems. 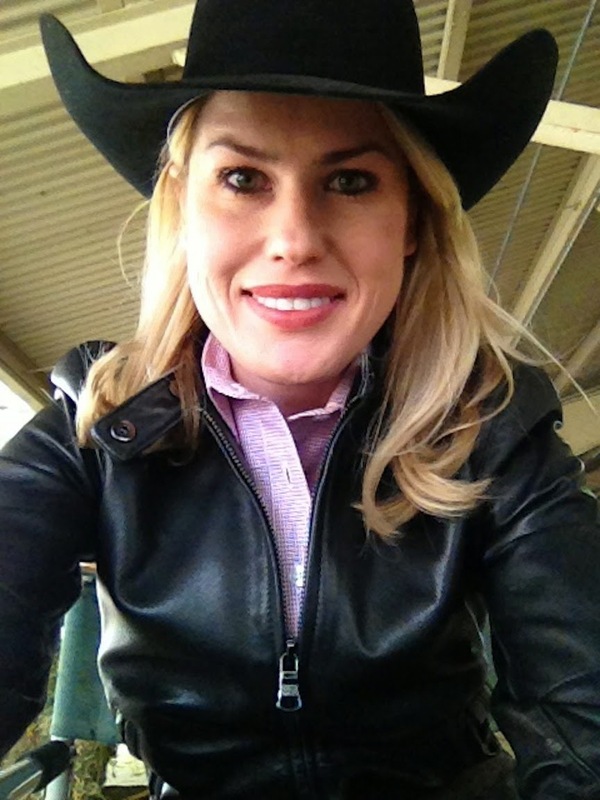 My husband is a horse trainer and we travel about showing our fantastic show horses throughout the United States. I review restaurants, food products and consult restaurants... Follow Melissa Good Taste on this amazing journey that I am happy to call my life! I do this first and foremost for my love of food, travel and all things "fabulous". I do publish professional restaurant reviews and am compensated for my efforts. I am fair, honest and write about my experience that day. Your opinon may be different than mine, but that is what makes us all unique.